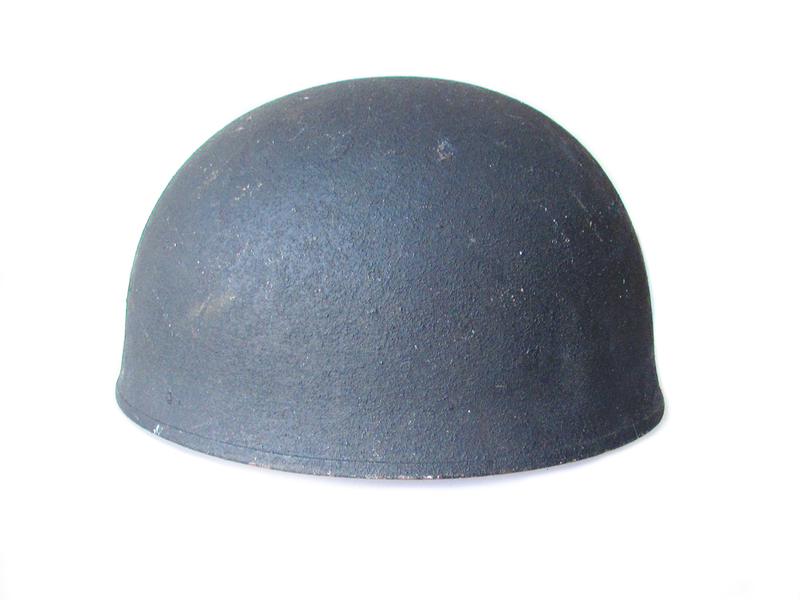 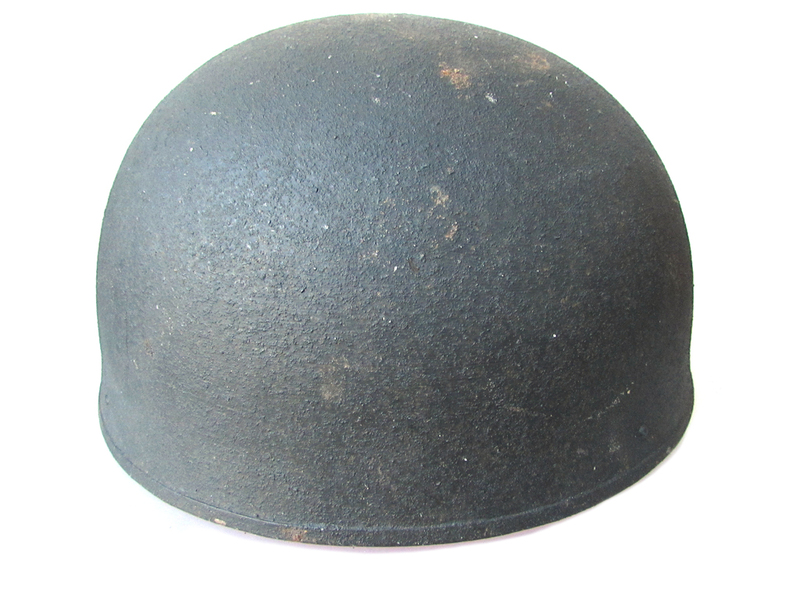 A WWII British steel motorcycle dispatch rider`s helmet in excellent condition. 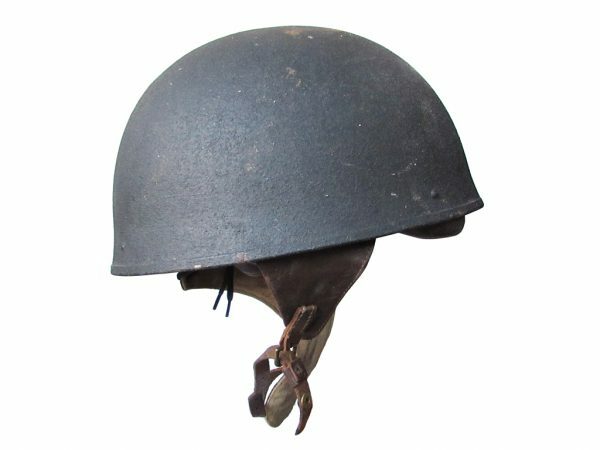 Similar in design to the paratroopers helmet, the Dispatch Riders Helmet was introduced in October of 1942. 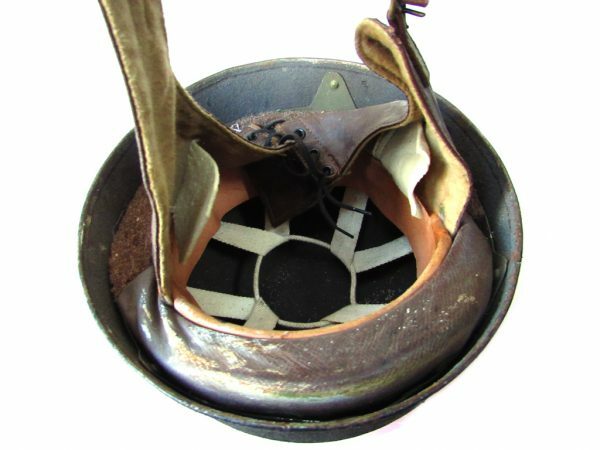 This example is in excellent condition, with only slight wear from service usage. 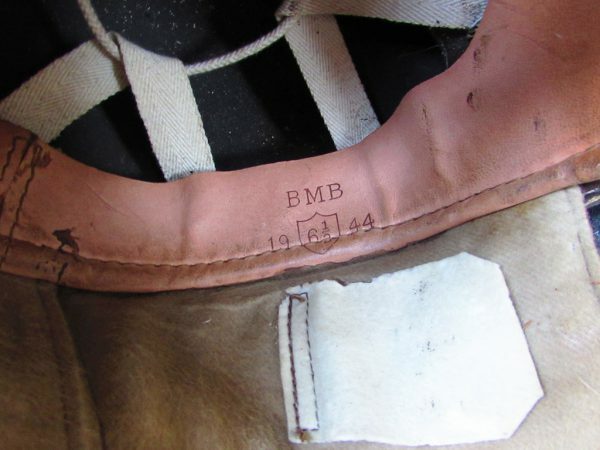 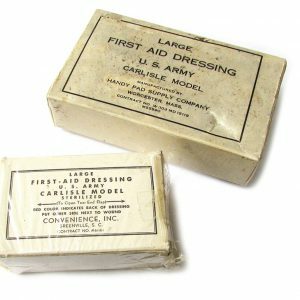 Manufactured by Briggs Motor Bodies Ltd, it is stamped BMB with date 1944 and size 6 1/2. 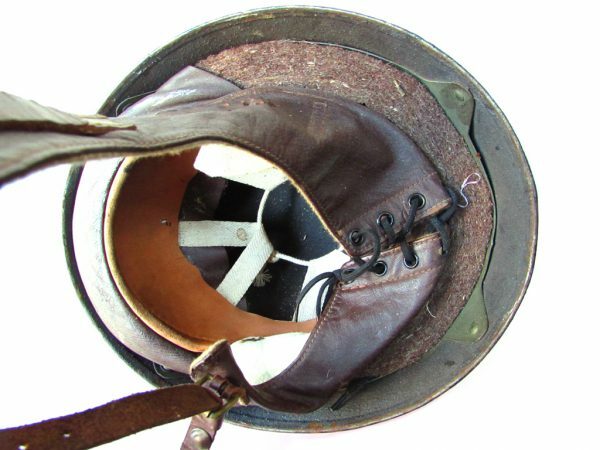 The exterior retains nearly all the rough-textured olive drab paint, and the interior is all complete with its leather and webbed liner, with a thick felt padding ringing on the inside edge of the helmet and it’s four tan HBT web straps and tie string to the crown. 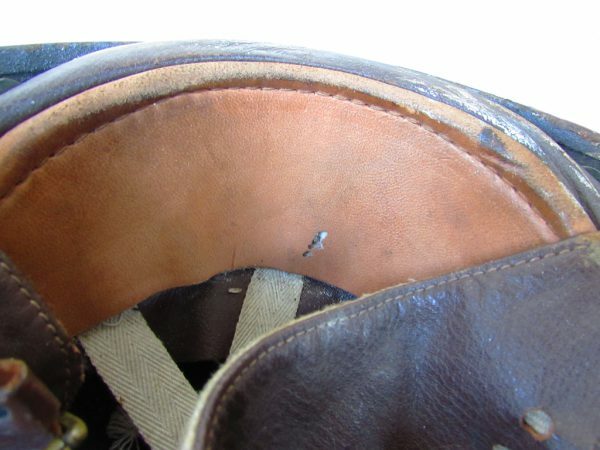 The liner is held in place by four slotted screws with nuts all tight and in place.